So you have got a German cockroach infestation , what do you do ? you can try spraying them with Raid or something similar. Also you can buy some D.I.Y products and try that.In fact you will find these things will help a little but the GERMANS KEEP COMING. Then you decide to ring a pest control company and hopefully they can take care of them once and for all. By and Large most pest companies should be able to sort it out for you . Usually this should be the end of the problem if they have done a good job . For your piece of mind they should offer some sort of warranty and if they don't stay clear of them . We offer a german cockroach treatment with a warranty so you can be confident the problem will be sorted. Equally important you will have a roll to play in this treatment. In fact our Pest technicians will give you instructions on what you will have to do. In short you will probably be doing some cleaning, sealing of hiding places to help eradicate the problem. Coupled with our treatment your role is just as important and the warranty will be conditional upon you doing your part. Be aware this treatment will generally take at least 2 treatments as we need to break the life cycle. We use a combination of techniques to treat. In addition to spraying we use dusts, aerosols, gels and I.G.R'S (insect growth regulators). Not to mention your input . 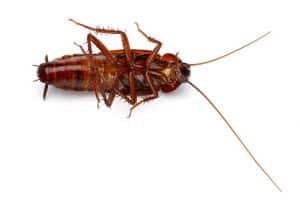 To get a german cockroach treatment with a warranty give us a call or fill out the online quote form and we will happy to help you out . Get rid of them now with the best German cockroach treatment. available with a full service warranty .Brisbane , Gold Coast ,Ipswich and surrounding areas.